13 per cent of homes in Australia now have a solar panel system and 3 million Australians live in a solar household – and the RET is costing far less than some would have us believe. A report by Green Energy Markets for the REC Agents Association (RAA) shows Australians installed more than 1 gigawatt of solar panels last year, but during the last 12 months, installations have dropped 22% as a result of winding down of rebates and incentives. The report also reveals a very important point about the costs of that support. 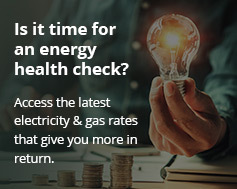 While the Federal Government appears to have Australia’s Renewable Energy Target in its sights, when taking into consideration the impact solar has had on reducing wholesale power costs, the real cost of the SRES to all households will be just $1.90 per quarter by 2016 – or just 0.38% of a typical household quarterly bill. “There is simply no need to change the Small-scale Renewable Energy Scheme through a Review of the Renewable Energy Target,” says Ric Brazzale, CEO of Green Energy Markets and President of the REC Agents Association. The report states there are a combined 1.86 million solar power systems (PV and solar hot water) installed in Australia – accounting for more than 21 per cent of homes. These systems resulted in a 2.2 per cent reduction in Australia’s electricity consumption in 2012. More than 18,450 people were employed in Australia’s solar industry in 2012 across more than 4300 predominantly small and medium businesses. However, given the drop-off in installations, more than 3,400 jobs could disappear over the next 12 months says RAA. While solar rebates and incentives may not be as generous as they once were; there is still a very strong case for going solar given the cost of electricity. Any power price relief as a result of the carbon tax repeal may be quickly gobbled up by other factors.